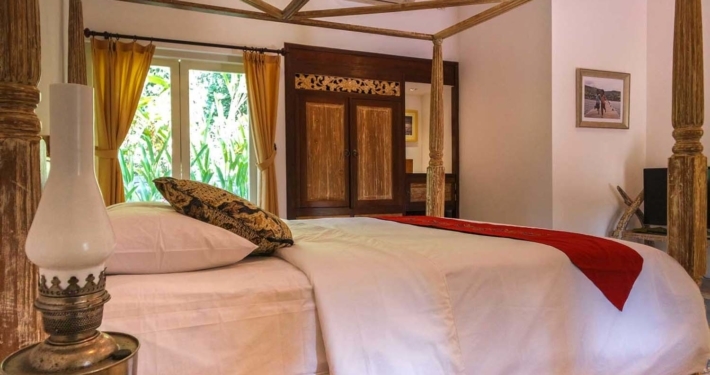 In a beautiful traditional Balinese building, this room has at its entrance a lovely balcony facing the bar and pool. 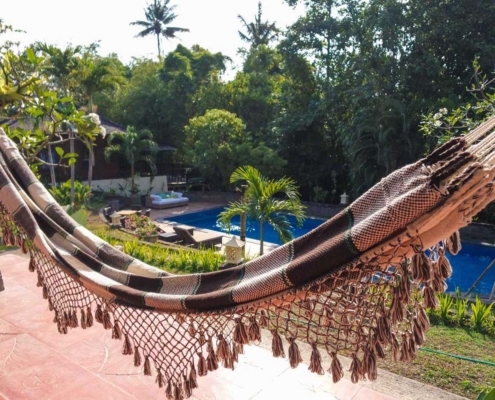 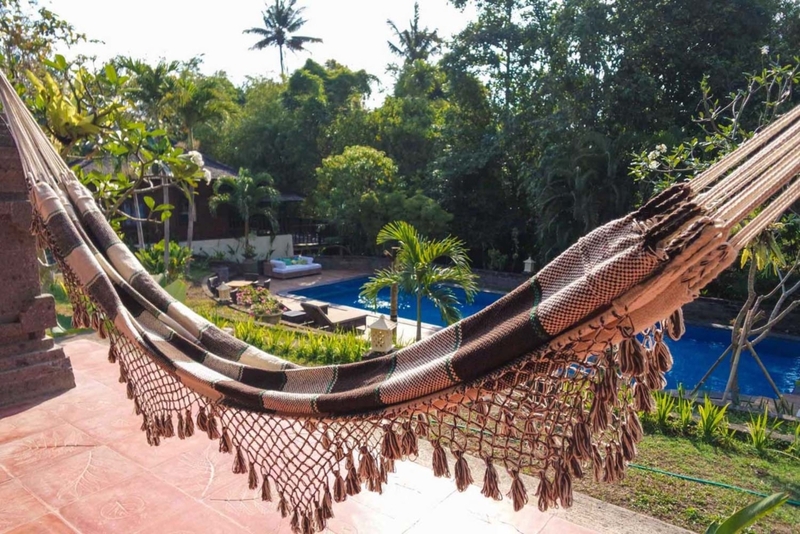 A caribbean hammock sits right in front for the lazy times. 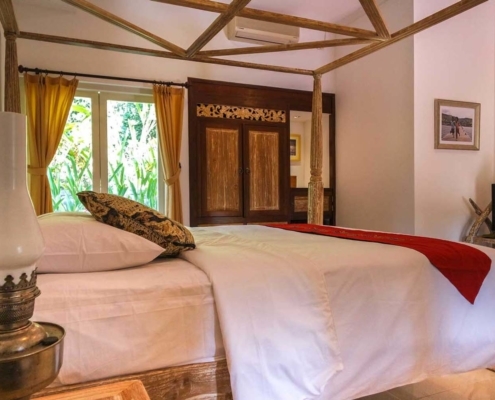 The room has a queen bed and a single bed, sleeps 3 persons. 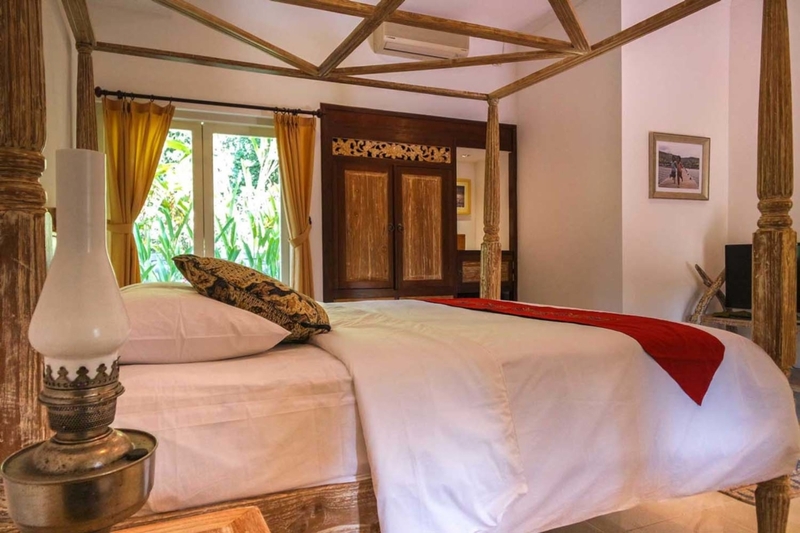 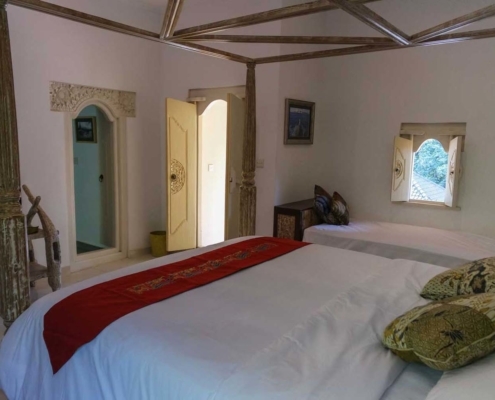 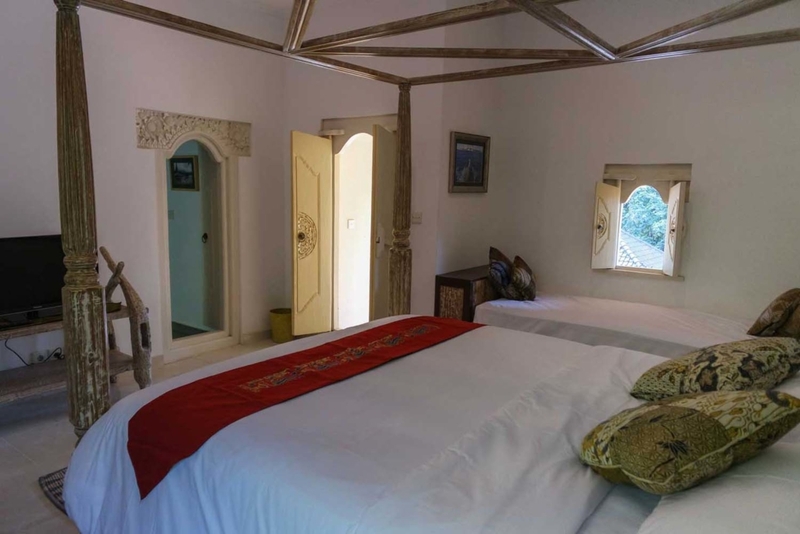 Nicely decorated, with a traditional touch and european comfort standards, makes you feel you are in Bali while enjoying first class accommodation. 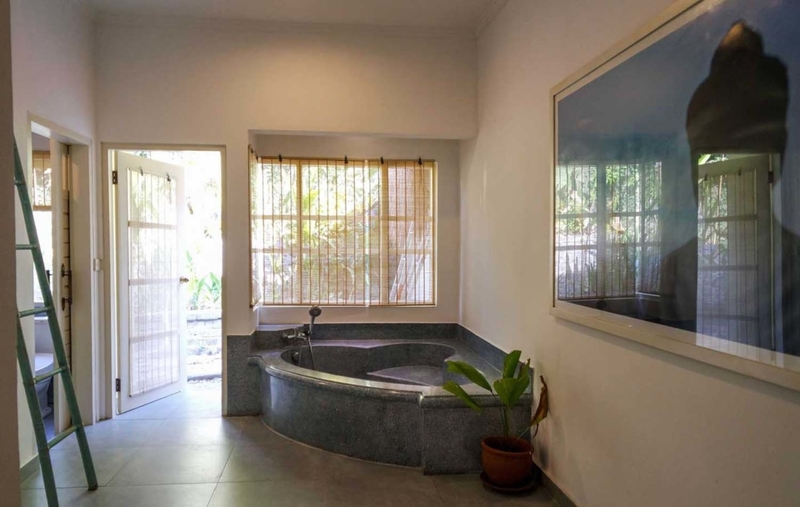 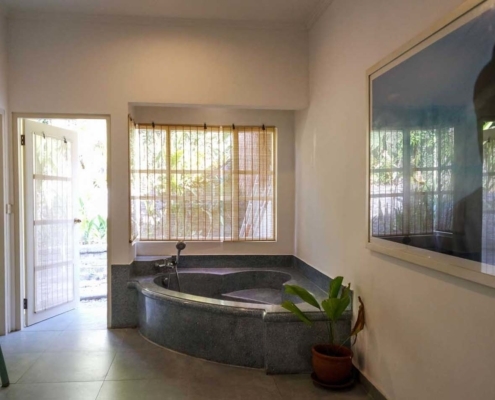 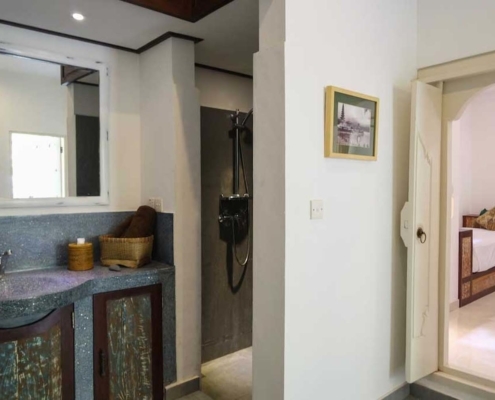 The bathroom is huge with a bathtub, shower and private toilet. 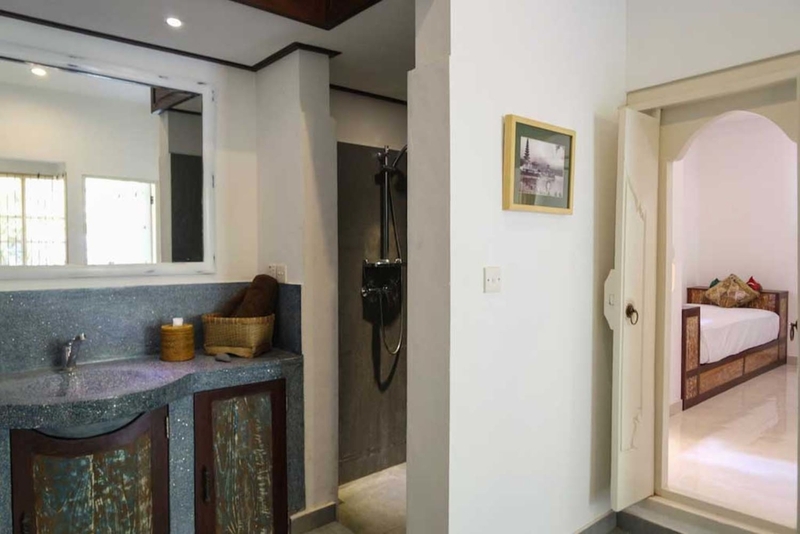 A safety box and mini fridge are available as well as a AC and TV/DVD.